Arriving in Nice is usually a warming experience, not necessarily for the welcome but due to the weather! The plane actually runs parallel with the shoreline as it prepares for landing and you can see the sparkling boats of the glitterati laid out below in opulent harbours populated by the mega-rich. It’s such a tonic to know that just 20-30 minutes away lies a little oasis of calm and a collection of charming French villages. My base (and our base during the May 2019 tour) was in St Paul de Vence. A charming and extremely well-maintained old village up in the hills behind Nice. St Paul (as it’s called by the locals) is a hub for modern art and as you wander through its beautifully cobbled and windy streets there are multiple galleries and stores selling all manner of fine art including paintings, sculptures and mixed media. There is also the famous Fondation Maeght which houses a world-renowned collection of modern art. Exploring with the camera here is a relaxed affair, and there are shooting opportunities during the day and night. Just 15 mins from St Paul de Vence is its big brother Vence. This has the feeling of a busy town but it has a beautiful historic centre including a walled old town and also a small ‘ghetto’ area (of the historic type). 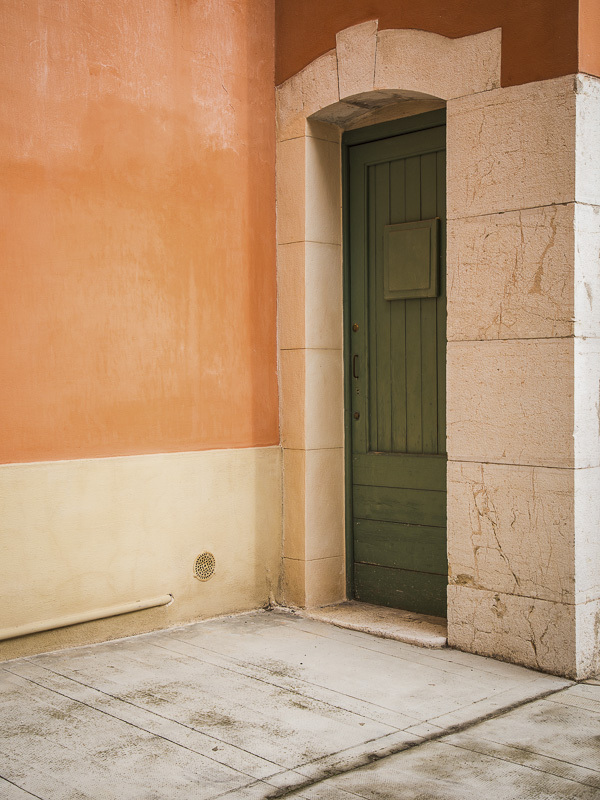 This allows for a wide variety of image making possibilities and Vence has a great selection of colourful facades and doorways to explore. The great painter Henri Matisse spent a lot of time in Vence and you can see there is a strong history of art in the area. Nearby to St Paul is the attractive Tourrettes-sur-Loup which clings onto a hillside and has a charming square. Not only do they do wonderful food here but the Church has a very aesthetically pleasing interior and can be a good spot to grab some respite from the sun if required. Exploring man-made shapes and architecture can help develop your eye for spotting natural curves, lines and arcs in the landscape and as such I love exploring these locations. About 30 minutes away you can climb further into the mountains to visit smaller villages. The further into the mountains you go, the more rustic they become! Carros is at the entrance to this upper Alps area and it has beautiful cobbled streets which look great at night in particular. As you travel on from Carros the villages get smaller and smaller and the textured rustic nature of these hideaways are great to play with photographically. Shooting in these villages generally may well appear easier than it really is. I am an avid lover of wild landscapes but over the last 2-3 years I’ve enjoyed the challenge of making order in these more enclosed and inhabited spaces. It’s my belief that the end results need to be compositionally sound and watertight to be successful and that does take some time to finesse. For anyone out there who’s used to the wider vista this would be a stimulating and rewarding way of re-seeing order in compositions. It’s not all about the villages in this area though. 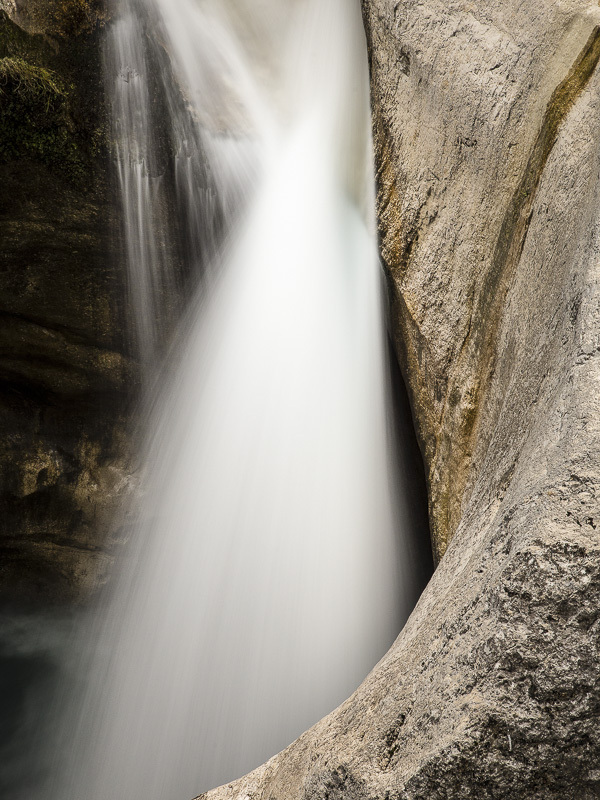 The Loup river runs down through the Alps to the sea and there are a number of river areas and waterfalls to explore. Our tour in May 2019 will explore a beautiful river walk which offers lots of opportunities for detailed abstract shots and indeed experimenting with shutter speeds and creating shapes in the water. We’ll also spend some time at the Saut du Loup waterfalls which I’ve become slightly obsessed with! There is a gorgeous sweeping natural arc in the rock here and it’s the kind of place you can spend some time really playing with shutter speeds and compositions. Be it capturing the wider scene or focussing in to a set of abstracts. Throughout our time here in May 2019 we’ll explore other small towns and villages including Antibes on the coast which has a nice mix of old and new and houses the fabulous Picasso Museum– what better place for some inspiration! I’m also keen to discuss composition in further detail with guests and this will involve some image review sessions and conversations about finding order in busy scenes. Due to the variety of shooting locations there will also be chance to explore and develop alternative techniques such as long exposures, ICM and Multiple Exposures. There will also be time available to discuss using correct filtration and other core principles of photography. In summary, this area has a charming and relaxed feel, even though its so close to the contrasting hustle and bustle of the Cote d’Azur. Personally I can’t wait to go back and would be delighted to see you there.